I am sure a lot of you have heard of the SodaStream. Fortunately, I have had the wonderful opportunity of reviewing this stunning product and now I can tell you first hand- this is the most wonderful gift for any house!! Now let us take a look at the SodaStream and see what makes it much better than the rest. When the SodaStream arrived at my place with the taste samplers and soadmix bottles of a wide variety of flavors, my entire family was excited. So it was time to set up our own soda maker. First thing I noticed was, there were no wires out of it. Yay! That makes it easier to use anywhere, in or outside the home. Imagine bringing this to a large picnic so everyone could enjoy their soda! Secondly, the design is ultra-sleek and looks very elegant on the kitchen counter top. Setting it up for the first time took just a few minutes. The manual was crystal clear. All you need to do is open the back, fit in the carbonator and you are good to go. If you like your soda chilled, then you might want to chill the water in the bottle provided before making your soda. Get the bottled with water (only- no syrup yet), fit it in and press the button 3-5 times (they recommend 3 for the average soda). Your carbonated water is ready. Then simply add the flavor syrup of your choice and your soda water is ready. So we drank our first cups of homemade soda. I tried the Lemon-lime flavor…. So far I have tried the lemon-lime, orange, cola and diet pink grapefruit and all of them have tasted excellent. 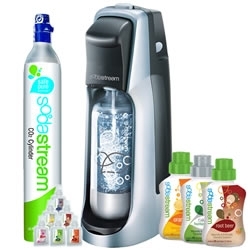 So as you can see SodaStream is a WINNER and here are some reasons that this would make an excellent gift for the home (yours or someone you know). It is a great money saver. Imagine not needing to buy all that soda of different flavors for the whole family from now on. Even for parties. All you need is water and a set of flavored syrups and each person can get the exact kind of soda that they want. Made right in front of them. And each bottle of sodamix flavors can make enough soda to fill around 33 cans. So you could save on all the bottled and canned sodas that you would have consumed through the year. If you want some on the go, make them and bring them in a bottle with you to enjoy! Soda from the SodaStream certainly is healthier than your average soda from the grocery store. For instance 1 serving of SodaStream Lemon-lime comes with only 9g of Carbohydrates and 9g of sugar … that is only about 3% of one’s advised daily intake. Sodastream Cola comes with 9g of carbohydrates and 8g of sugar per serving. That is a fraction of a can of Coke or Pepsi that you get out there. SodaStream is eco-friendly. Imagine all the plastic bottles and aluminum cans that you avoid using when you make your own soda at home. You use the same bottle, same carbonator and you can make 100s of sodas. Certainly a wonderful way to save the earth, don’t you think? As I said earlier, this isn’t just a great addition to a home, but very useful when you are out on a picnic or a large gathering. This could be the refreshments. Simply carry the SodaStream and the flavor syrups and you can enjoy a day with fun and yummy soda! There are a million possibilities with the SodaStream System. Don’t forget to also take a look at their selection of natural MyWater and even Teas! 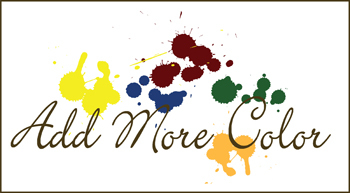 So what are you waiting for now? 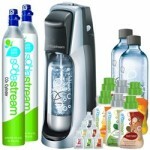 Go to Sodastream.com to see where you can get your home soda system from. 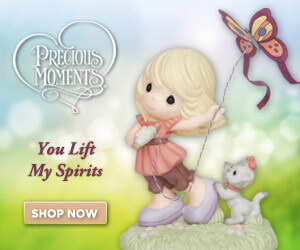 Or buy them online for your home or a friend. Disclaimer: I was given the SodaStream system with the carbonator, a variety of sodamix flavor bottles and taster samples. I was given this set so as to be able to provide an honest and objective review for my readers. I thank the PR in charge of Sodastream System for being able to provide this blog with this review.